The purpose of this position is to have an individual with administrative certification in the school to assist the principal and be in charge of a group of students for the time they are in high school. He/She will deal with all academic and disciplinary issues that arise on a daily basis with the group of students assigned to his/her house office. This individual will act as the principal in his/her absence. 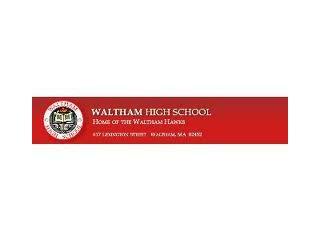 Working in partnership with the principal and other educational leaders of the Waltham Schools, the Associate Principal helps to assure that the curriculum and instruction meets the educational and developmental needs of the students and staff in the high school. •	Valid Massachusetts State Certification as a Principal/Assistant Principal by the Commonwealth of Massachusetts (DOE Cert. # 1024 or 1025) and SEI Endorsement. •	Demonstrated competencies in high school (Grades 9-12) administration. •	At least five (5) years experience in the field of public education, including experience in administration and teaching. •	Knowledge of another language depending on the demographics of the school. •	Knowledge of State Curriculum Frameworks as related to the subject areas in grades 9-12. •	Thorough knowledge of the student handbook so he/she can enforce appropriate discipline related to the rules. •	Knowledge of school management procedures. •	Understands and follows through on the appropriate components of ESSA (Every Student Succeeds Act). •	Ability to plan, assign, supervise, and evaluate teaching and non-teaching staff assigned to his/her house office. •	Ability to deal with staff effectively. •	Ability to communicate orally and in writing to staff, students, the superintendent of schools, other administrators and parents. •	Ability to implement and consistently enforce a school wide student disciplinary system. •	Ability to work independently and carry out assigned projects to their completion. •	Ability to surmise and recommend budgetary needs to the principal. •	Excellent managerial and leadership skills. •	Skilled in developing a positive working relationship with teachers and parents. •	Skilled in working collaboratively with other administrators. Performs varied and responsible duties with considerable latitude for independent judgment and action while planning, administering and executing duties. Works independently and in concert with others. Work under the general direction of the Superintendent of Schools and the direct supervision of Principal. Assists the Principal in the supervision and evaluation of all staff assigned to his/her house including but not limited to teachers, instructional paraprofessionals, nurses, secretaries, and building maintenance workers. Is evaluated by the Principal of the High School as per contract. 1. Responsible for all students assigned to their house for their duration in high school. 2. Fosters a school climate that promotes student learning. 3. Assists principal in implementing the instructional program as reflected in the Quality School Plan. 4. Exhibits and facilitates human relations and communication skills. 5. Provides staff leadership, development and training. 6. Efficiently manages student disciplinary procedures ensuring due process for all students assigned to his/her house office. 7. Demonstrates professional growth and self-improvement. 8. Supervises and evaluates staff as assigned. 9. Develops positive school community relations. 10. Oversees student extracurricular activities and events. 11. Supports and implements system-wide initiatives. 12. Implements provisions of collective bargaining agreements for building staff. 13. Serves as the administrator of a class of students from entrance to graduation. 14. Maintains all records to certify students for graduation. 15. Upon graduation, is responsible for ceremony and all events leading to the graduation ceremony. 16. Communicates in a timely and effective manner with students, staff and parents. 17. Organizes and administers MCAS testing for assigned class of students. 18. Implements school department rules and regulations. 19. Maintains an atmosphere of respect and achievement in the school. 20. Remains abreast of developments and innovations in the field by reading current and cogent literature and participating in annual professional development programs. 21. Provides statistical data on students. 22. Assists in the establishment of schedules and procedures for the supervision of students in non-classroom areas, including before and after school, and bus loading and unloading. 23. Communicates regularly with parents. 24. Protects confidentiality of records and information gained as part of exercising professional duties and uses discretion in sharing such information within legal confines. 25. Serves as the principal in the absence of the building principal. 26. Helps to implement and monitor special education programs for students assigned to his/her class including referral process. 27. Serves as the Section 504 coordinator for all students assigned to his/her class. 28. Helps to support the mission of the school council. 29. Serves as a member of the superintendent’s administrative institute group and attends all meetings called by the superintendent. 30. Assists in the development of professional development programs and activities. 31. Attends school committee meetings and other school meetings as designated by the principal. 32. Performs other assignments as designated by the superintendent of schools or the principal.